Christie Blatchford, author of Helpless: Caledonia’s Nightmare of Fear And Anarchy, And How The Law Failed All of Us, has published an inspiring profile CANACE co-founder Merlyn Kinrade, a staunch ally in the struggle for justice since Jan 20/07 when he — as described in Helpless — first clambered up the side of a hill near Canadian Tire when I asked for a volunteer to hold my Canadian flag (photo, L) while I gave my ‘Blue Beret’ speech. Through Blatchford, Merlyn reveals publicly what we have known privately for some time: he is battling cancer that is spreading through his body, and that he has no regrets whatsoever about taking time away from his wife and daughter to fight for justice in his community and country. Blatchford’s article references a day when he blocked traffic for 40 minutes (after the road was first blocked by native protesters) even though he was sick with hives. 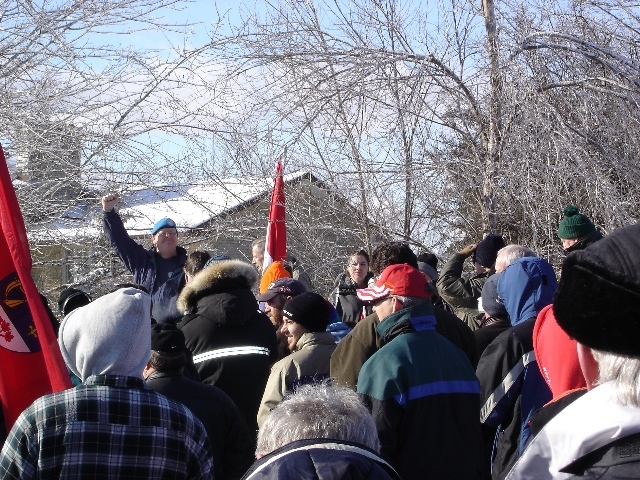 This was Dec 01/07, the day we were attacked by Six Nations smokeshack supporters at a protest against one of the illegal ventures…when Gary McHale and Jeff Parkinson were sent to hospital, and I was also assaulted (but uninjured). The picture below is of Merlyn holding a sign that day (which I made) that says, ‘TWO TIER JUSTICE VICTIMIZES NATIVE PEOPLE TOO!’ I use this image as part of my header at the Caledonia Victims Project site where you can read more about it. 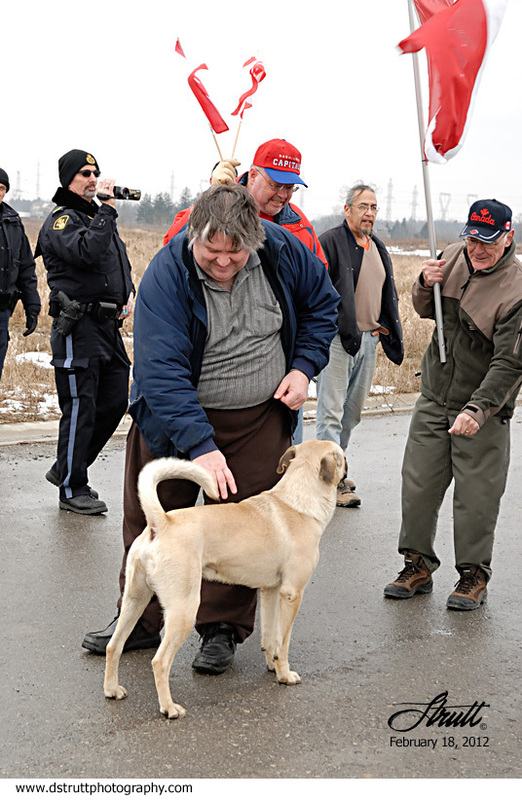 Blatchford’s National Post article includes two photos of Merlyn being arrested as one of the Caledonia Eight on Dec 03/11. 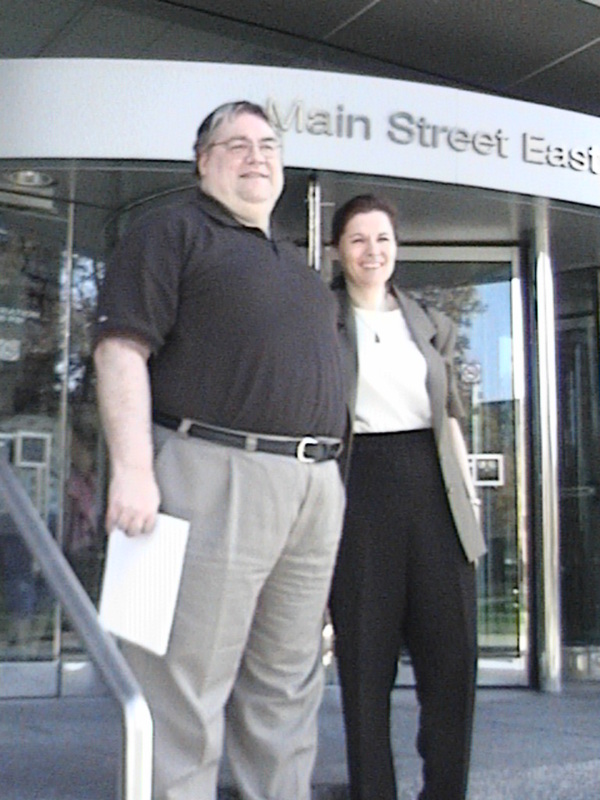 They are credited to Never Again Group member Steve Scheffer who has come to Caledonia on several occasions to support our protests. 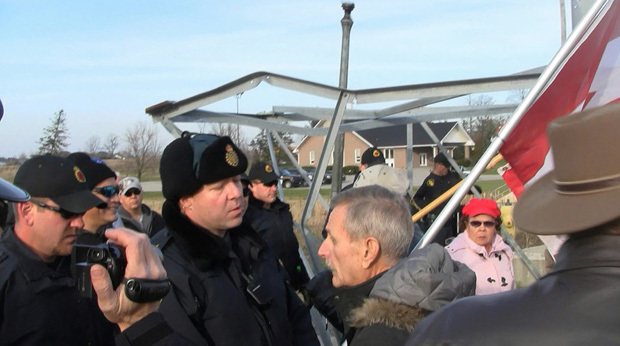 A reliable source says that secret meetings have been taking place in Haldimand County regarding the occupied Douglas Creek Estates following the arrests of the Caledonia Eight on Dec 03/11 for ‘trespassing’ on a county road that passes through the occupation site. 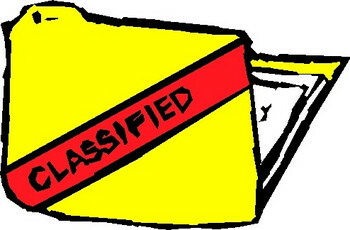 On Monday Dec 19/11 Haldimand Council held an in camera meeting to discuss the Douglas Creek Estates. 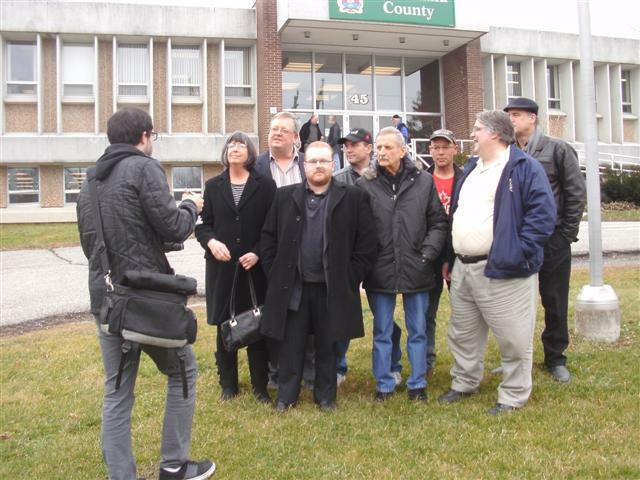 On Wednesday, Dec 21/11 Ontario’s Minister of Aboriginal Affairs visited Haldimand County to meet with Mayor Ken Hewitt for another private meeting to discuss the Douglas Creek Estates.